Along with raising my beloved family, I have channeled my affection for animals, and dogs especially, into professional and personal development. 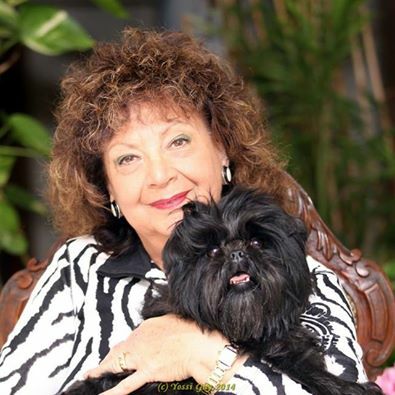 I have started my involvement with the Israel Kennel Club 40 years ago by founding the Molasses Club in Israel, and became an honored president of the club for life. I became a qualified F.C.I. Judge of Neapolitan Mastiff about 38 years ago. Since then, I have added many more breeds from several F.C.I. groups, and now I am a qualified judge of GROUP 2 and many breeds from GROUP 1, 6 and 8. For the recent four years, I serve as the chairwoman of the Judge Committee of the Israel Kennel Club. I often travel and judge in major dog shows abroad, as well as seminars and international conventions, aspiring to expand my knowledge, experience and specialize in new breeds. I proudly represent the Israel Kennel Club and enjoy meeting colleagues and friend from around the world.